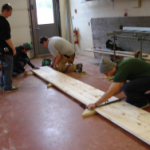 The Building Trades program offers students the opportunity to develop the expertise necessary to compete successfully for employment or to further their education in the field of residential construction.Students enrolled in this program have built homes, storage facilities, handicap ramps and docks, as well as a wide range of community based projects. 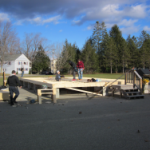 These projects broaden and enhance the student’s building skills. The Building Trades curriculum is designed to advance any student down his or her chosen career path. Building Trades is open to all individuals and offers opportunities in residential construction and related fields. Articulation agreements with CMCC and SMCC are in place.